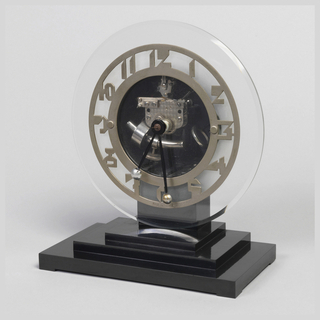 This is a Clock. 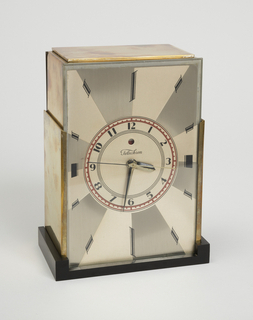 It was designed by Jean Goulden. It is dated 1928. 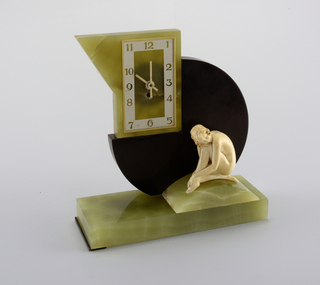 Its medium is silvered bronze and colored champlevé enamel. 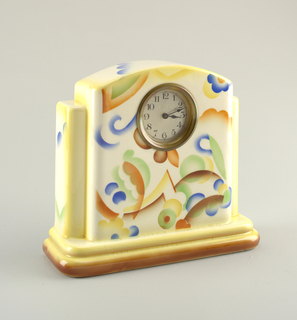 Parisian enamelist Jean Goulden was noted for the superior quality of his enamel work and his devotion to modernist design. 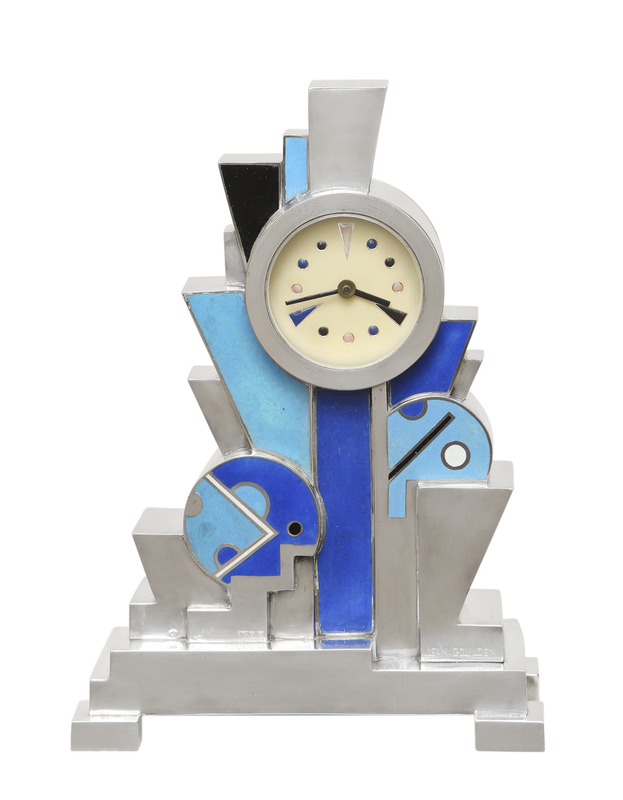 This clock from 1928 reflects his interpretation of analytical Cubism in three dimensions. It is credited Stephen E. Kelly/Kelly Gallery, New York. H x W x D: 26.5 x 25.5 x 9 cm (10 7/16 x 10 1/16 x 3 9/16 in. ).